Barrick Gold Corp.’s new boss intends to push ahead with plans to increase investment in the mineral-rich — but environmentally tricky — deposits straddling the Chile-Argentina border. “If you want to find elephants, go to elephant country,” Chief Executive Officer Mark Bristow, a South African geologist and big-game hunter, said in a phone interview. The Toronto-based company “absolutely” intends to invest more money in the El Indio copper-and gold belt, he said, adding that its partnerships with Chinese and Chilean miners remain key to its strategy in the region. “Everything’s been clouded by Pascua-Lama,” Mark Bristow said. “At the end of the day, that’s something we’re going to get our heads around, and we are going to engage with our host countries." The world’s largest gold miner, which completed its merger with Randgold Resources Ltd. at the beginning of the year, had been revamping its South American strategy since John Thornton became chairman in 2014. Barrick formed a joint venture at its Veladero mine in Argentina in 2017 with Shandong Gold Mining Co., and formalized an agreement with the Chinese miner to work on other projects. Barrick also sold a 50 percent stake in its Zaldivar mine in Chile to form a venture with Antofagasta Plc in 2015. 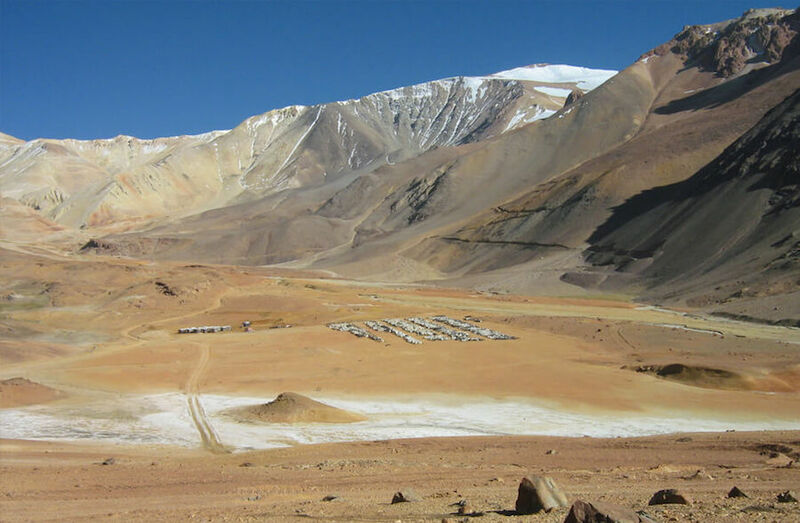 Antofagasta didn’t respond to a request for comment and Shandong Gold officials in Argentina couldn’t immediately be reached. Bristow maintains that Chile is a “great” destination for miners, despite Barrick’s difficulties advancing the massive Pascua-Lama project. Last year, the Chilean authorities ordered the “total and definitive” closure of the site on their side of the border over environmental issues. Barrick would be interested in acquiring any copper-and-gold deposit that fits its investment criteria. Thornton, now executive chairman, is known for ties to business and government leaders around the world, and favors partnerships as a means of extracting value from core assets rather than outright sales. In August, he surprised markets by saying the company might wade more deeply into copper. Barrick’s debt had swelled after it made a top-of-the-cycle acquisition of copper producer Equinox Minerals Ltd. in 2011. Barrick would be interested in acquiring any copper-and-gold deposit in the world that fits its investment criteria, Bristow said. Its other copper assets include Jabal Sayid in Saudi Arabia, Lumwana in Zambia and Reko Diq in Pakistan. Bristow indicated it would make sense to combine some of Barrick’s copper assets through partnerships, as Thornton had suggested in August. Demand for the red metal used in everything from wiring to batteries is expected to increase as sales of electric vehicles and renewable energy networks expand.